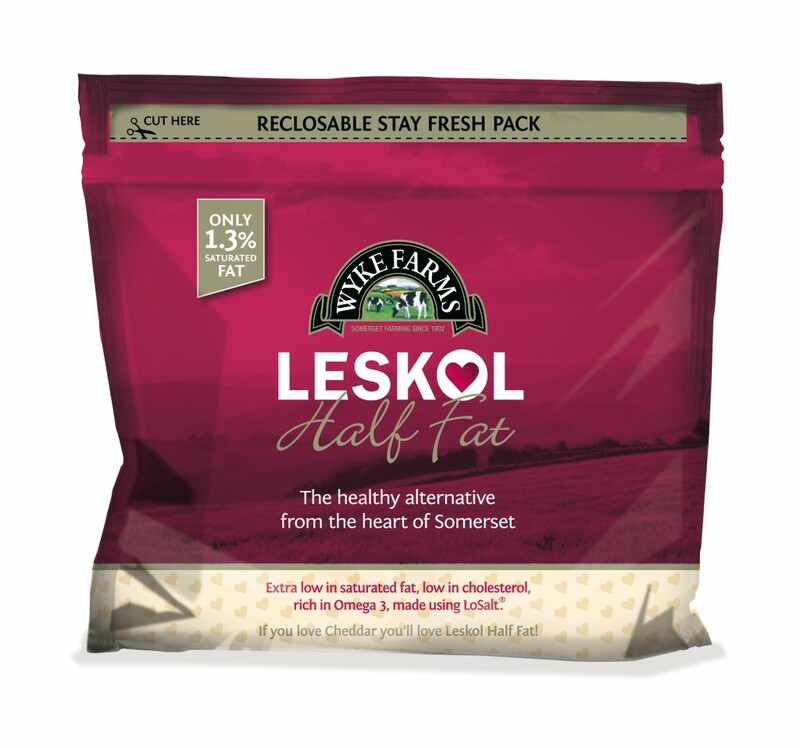 Somerset, UK – 20th September 2010: Wyke Farms, the UK’s largest independent cheese producer and milk processor, have announced the new name for Leskol, their half fat Cheddar brand; Super Light has been rebranded to better reflect the unique attributes of the cheese. At the same time, Wyke Farms have unveiled a fresh new packaging design update for their entire range. The updated designs show the cow and tree images printed in gloss, making them more visible to reinforce the brands message of provenance. Appealing to the discerning female shopper the new Super Light packaging communicates the associated health benefits in a bright, fresh design. 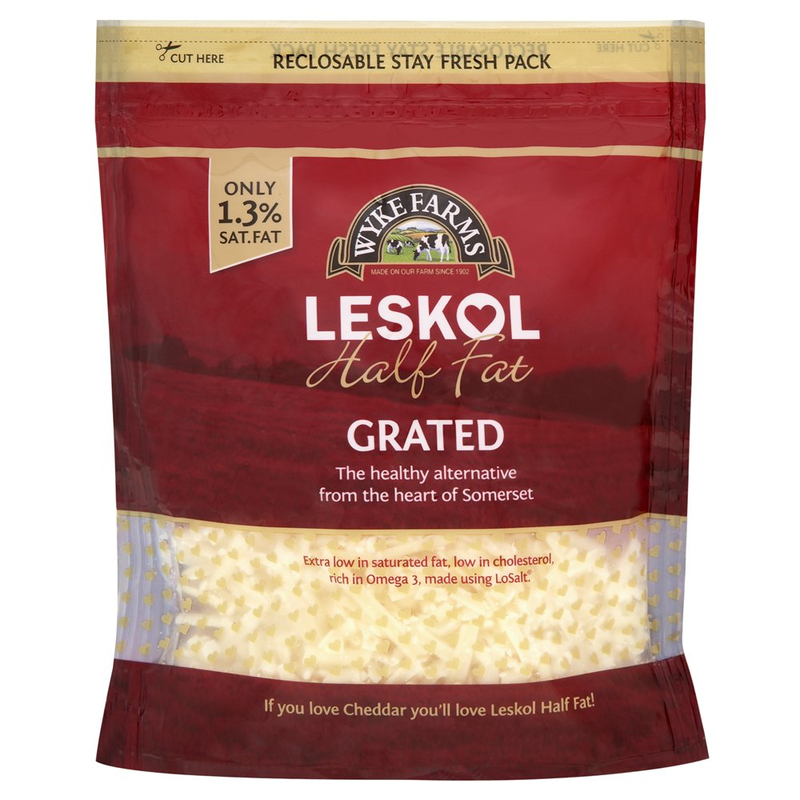 The heart shaped parchment panel in the centre of the pack subtly conveys the cardiovascular benefits and the back of pack copy tells the heart warming family story of how the cheese was originally developed to alleviate the high cholesterol of Wykes’ chairman, John Clothier. It took 2 years to refine the recipe and was a real labour of love made for the family by the family. 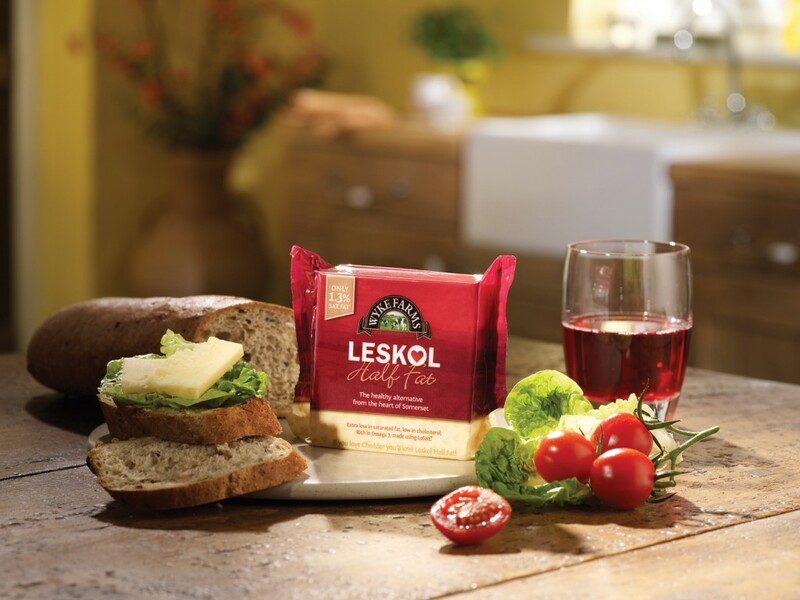 The award-winning recipe has not been changed; Super Light is made using skimmed milk, vegetable oil and LoSalt™. It looks, tastes, slices and cooks in the same way as any mature Cheddar. 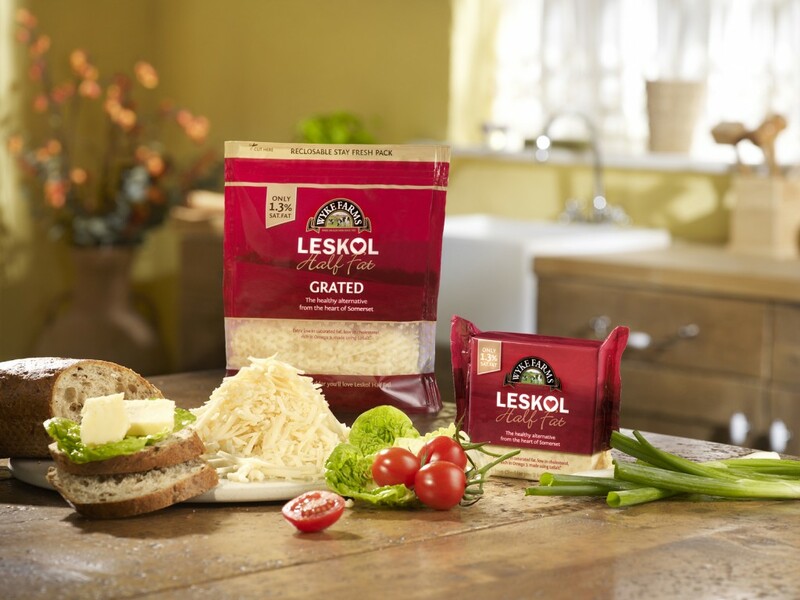 Naturally rich in protein and calcium and with added Omega 3 and Omega 6, Super Light is an ideal family food, but with only 1.3% saturated fat, approximately 90% less than regular mature Cheddar, it is the healthier choice. Wyke Farms use packaging to communicate their experience of over 100 years of family farming. Their cheese and butter is made with the milk from their cows grazing the lush pastures of the Mendip Hills in the centre of the Cheddar making region in Somerset. Repositioning ‘Superlight’ under the Wyke Farms family umbrella brand was a natural progression for the company who want to communicate the unique quality of this special product as part of the Wyke Farms range. Wyke Farms cheese and butter products are available nationwide and can be found in Asda, Morrisons, Sainsbury’s and Tesco. Super Light is currently available nationwide in 200g packs in Asda (replacing the current Leskol listing) and 400g in the Co-op.